The 3D printing technology attracts many industries to implement it to solve different problems and improve existing researches. One of the leading industries that start to implement 3D printing is the medical field. The 3D printing applications in this field include printing prostheses for better life for people with disabilities (3D Printed Hands for Disabled Children). 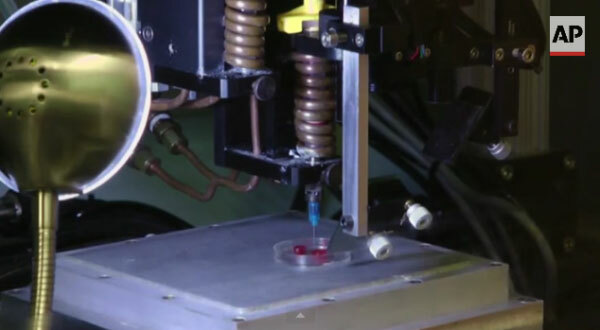 The technology depends on a mixture of a gel and the living cells (What are the Types of 3D Printing Materials?) that are added gradually to build the heart parts. By the time, the living cells grow to create the tissues. The technology is proof success on smaller scale such as mice and small animal vessels. The two main questions that highlight the project challenges are Will the cells stay alive after prating and using it. The other question is how will the cells grow and build new tissues and cells after implementing it in the patient body. The below video provides more information about the Bioficial Heart Program and how the technology works.